Customize & coordinate to match other rooms in your home. All of our products match and coordinate to give you endless options. We know your garage can feel like an extension of your home with a unique garage makeover in Cambridge. With industry-leading garage enhancement products, our trained team will help you visualize the potential of your space. We offer both Granite Gray and Desert Stone powder coating finishes for your Monkey Bar Storage System to give them longevity. Each of our Overhead Ceiling Racks are available in matching finishes. Our hooks and accessories for the Monkey Bars system and the Slat Wall come in a Graphite Pearl Finish. Our cabinet handles can also come in the same coordinating finish. Our custom cabinets come in several different finishes as well as various combinations to match the rest of your garage storage systems. These are customized to give you that final touch of coordination in your home today. We have 10 custom designed epoxy floor coatings designed to coordinate with our storage products. Through many years of experience, we know you need a variety of products and features to give you the perfect garage makeover in Cambridge. 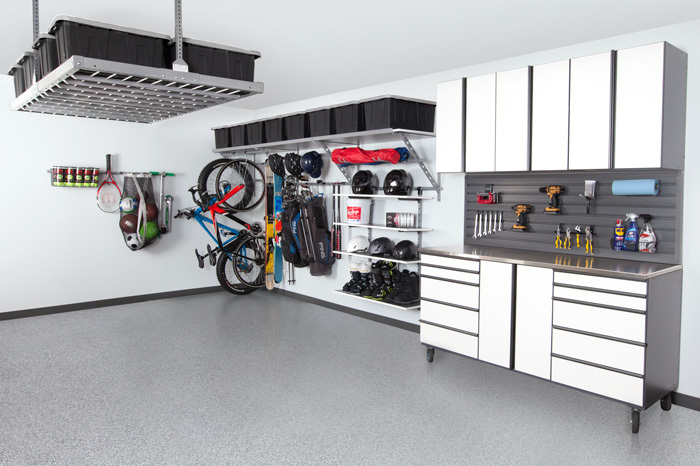 We want you to have the best products with a functional garage without breaking the bank. We strive to give you the garage you've been looking for with a little extra to make it that much better. We have the industry's most functional products and want to make sure it works with the design and appearance of your home. 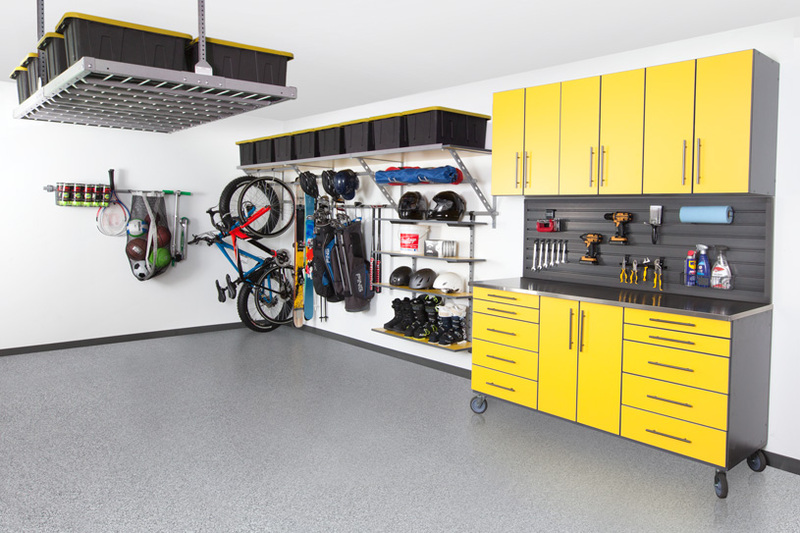 Your garage can look as beautiful as any room in your home. We want you to love your garage so we make this all available to you at a competitive price point. As the exclusive distributor for Monkey Bars Garage Systems in Cambridge, we have access to top-of-the-line products you won't find elsewhere. The beautiful appearance and design cues gives you the best outcome for your garage without sacrificing durability and longevity.